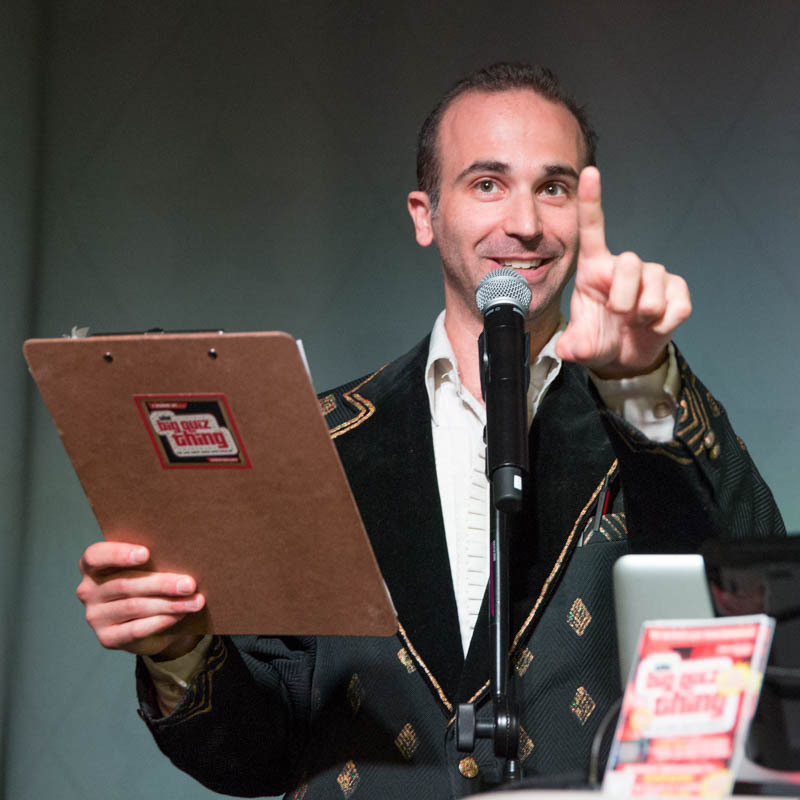 The Big Quiz Thing, the country’s premier providers of private and corporate trivia events (as seen its own TV game show), is in search of a new Chicago-area quizmaster to join the team. We’re looking for an organized, responsible, and dynamic individual to become one of the primary faces of our trivia business, hosting and running selected private events in Chicago and the surrounding area. The ideal candidate will have several years’ experience hosting and/or producing corporate events, in addition to strong stage presence and a detail-oriented approach to show business. (Quizmasters deal directly with clients and venues, in addition to hosting.) Expect a very intermittent time commitment, usually in the evenings. Must be smart, outgoing, able to work well under pressure, personable, and dependable. Payment is a percentage of event booking fees. E-mail info[at]bigquizthing.com with your résumé, cover letter, any questions you have, and video clips of your performance, if possible. Learn more about the Big Quiz Thing at bigquizthing.com. A contrasting option to this issue is mechanized check changing, which is a decent administration for the individuals who are conveying a watch that they have to money in a split second. Another favorable position of the mechanized check getting the money for is that the framework can money a wide range of checks including individual checks, finance checks, and government checks.